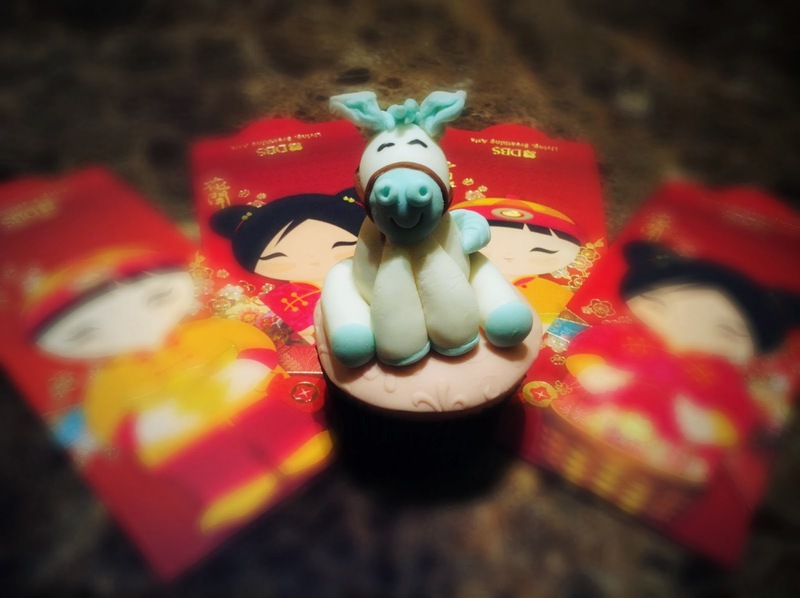 Say My Kitchen: Chinese New Year Cupcakes Special! 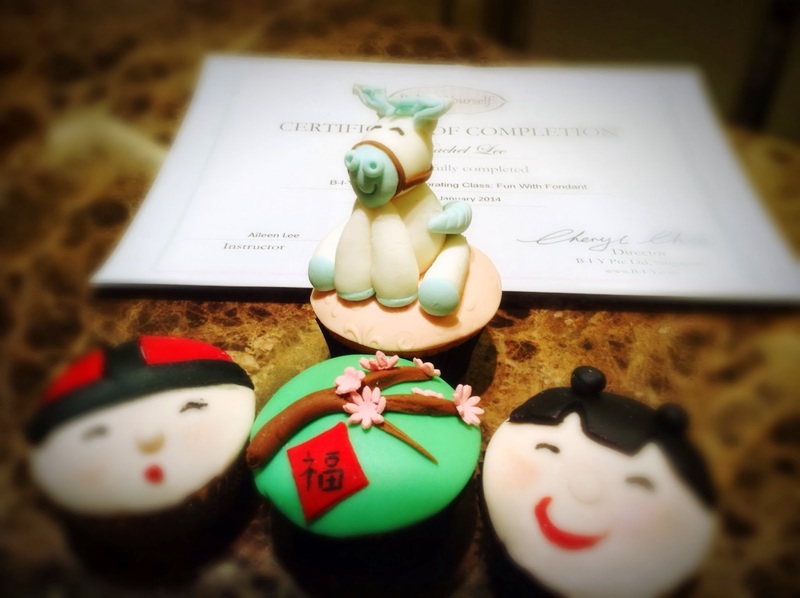 I recently enrolled myself in a fondant decorating class. Never had I expected myself to thoroughly enjoy it. In short, meddling with fondant is a reminiscence of "Play-doh" times during our childhood days. 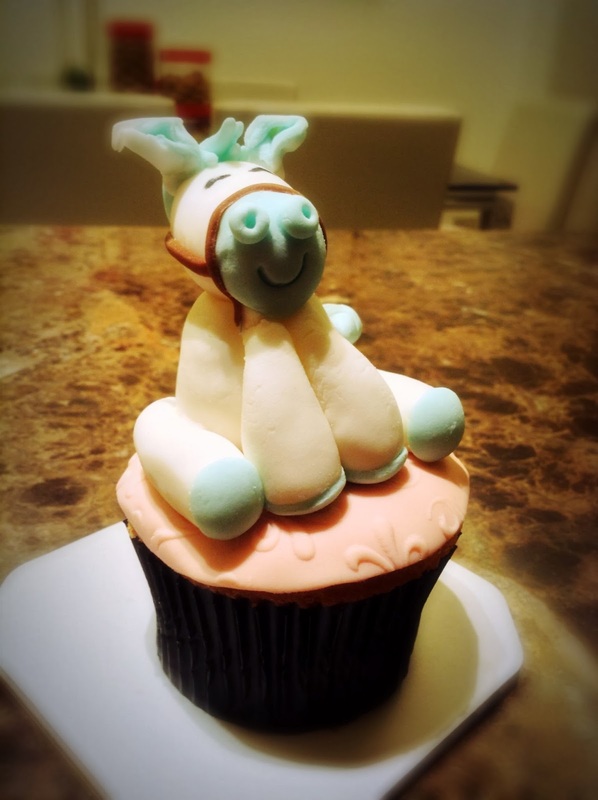 As the class was held just before Chinese New Year, the instructor decided to bring us through the creation of 4 horse year themed cupcakes that we could bring home. 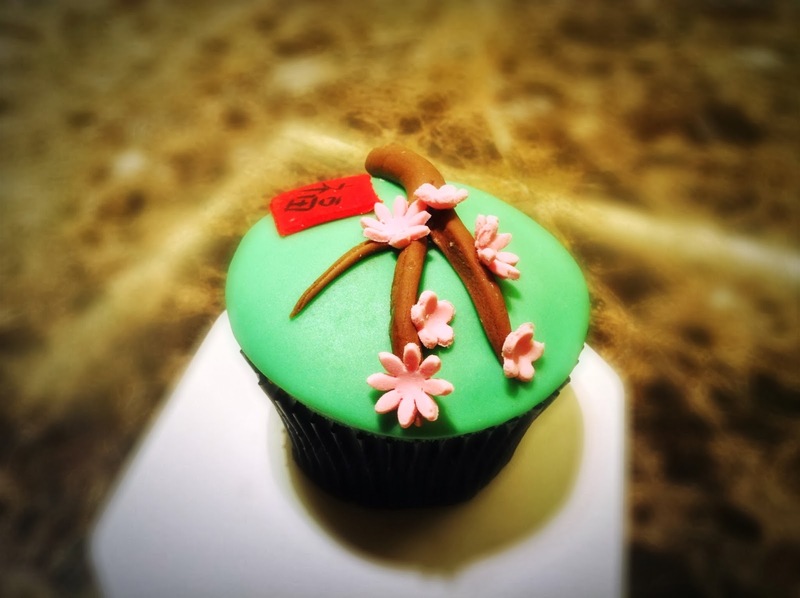 "Do not attempt to make your own icing or fondant in our tropical heat and humidity! You'll have a hard time.... there are many pre-made brands off the rack..."
These were the words of wisdom from our instructor at the beginning of the class! I concur! Why make my life difficult? 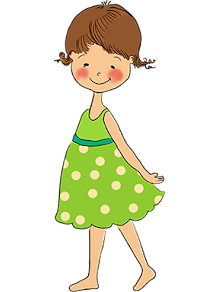 Just focus on creating nice end products! Cream the butter, sugar and flavouring until light and creamy, then set aside. In another bowl, whisk egg whites in high speed till soft peaks form, then add in egg yolks one at a time. Continue beating for another 3 minutes. Reduce the speed of the mixer to medium and add in the butter mixture. Beat till well combined. Reduce the mixer speed to low and add in flour and baking powder. Beat till well combined. 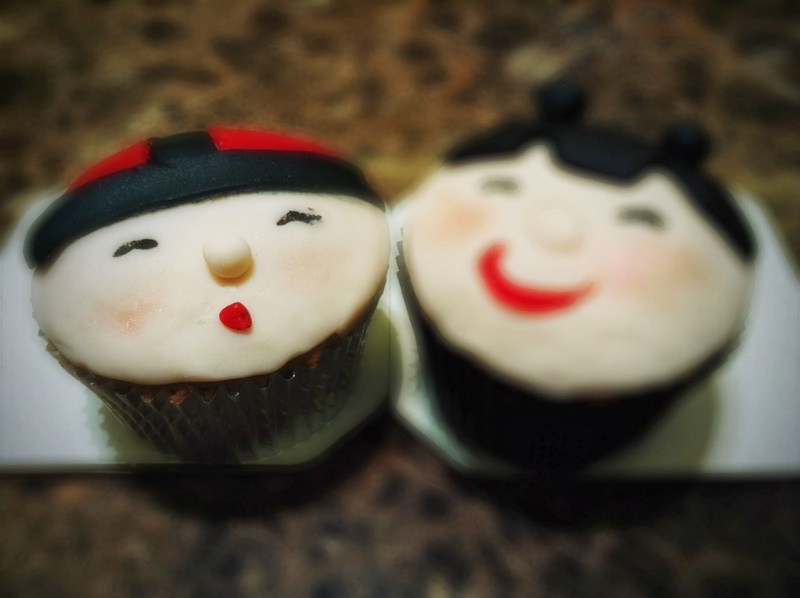 Fill cupcake moulds (1/2 full), smooth the surfaces and bake for 18 to 20 minutes. 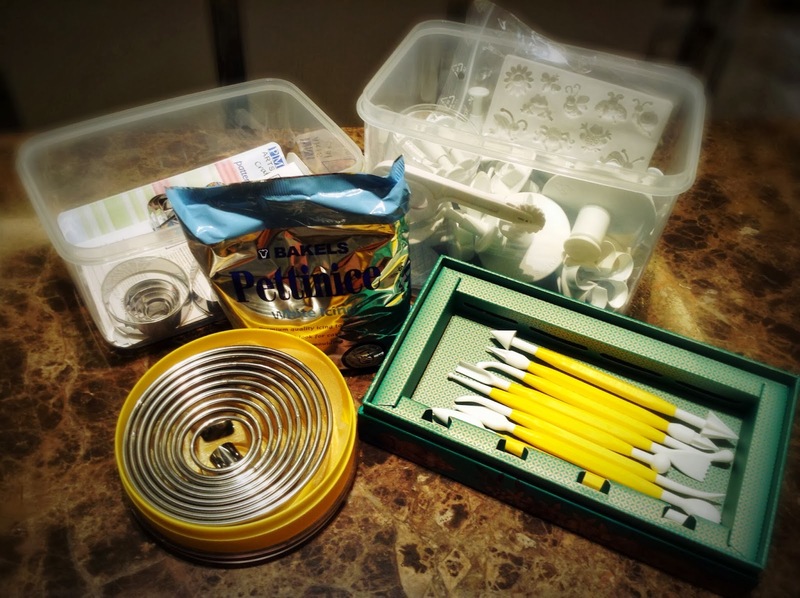 My tools for fondant decorating. For pre-made fondant, we used the brand 'Bakels'. We were also taught how to get the desired fondant colours using tooth-picks and Wilton Fondant Colours. After my first attempt, I have come to a realisation that fondant decoration is not totally difficult. It just require a whole load of patience and persistence. I am now looking forward to creating my Valentine's Day fondant cake!